Background/Purpose: Patients with psoriatic arthritis (PsA) have increased risk in cardiovascular diseases (CVD) including subclinical atherosclerosis. However, previous knowledge was limited to carotid atherosclerosis. The aim of this study was to determine whether PsA patients had a higher prevalence and severity of coronary atherosclerosis compared to control subjects. We also aimed to test the association between the disease characteristics and coronary atherosclerosis in PsA patients. Methods: 82 PsA patients [male: 51 (62%); 51±11 years] were recruited. Coronary atherosclerosis was evaluated by computed tomography angiography (CTA). 231 control subjects [male: 155 (67%); 49±10 years] without known CVD and rheumatic diseases, who were referred to receive CTA scan due to chest pain and/or multiple CVD risk factors, were also recruited. Results: PsA patients and controls were well matched in age, gender, smoking status, history of hypertension and dyslipidemia, lipid profile and fasting glucose (p ranged from 0.158 to 0.978). PsA patients had a higher prevalence of diabetes mellitus than controls [13 (16%) vs 15 (7%), p=0.012]. The prevalence of overall coronary plaque [52 (63%) vs 74 (32%), p<0.001], calcified plaque (CP) [27 (33%) vs 30 (13%), p<0.001], mixed plaque (MP) [19 (23%) vs 13 (6%), p<0.001], non-calcified plaque (NCP) [38 (46%) vs. 51 (22%), p<0.001], and combined MP/NCP [45 (55%) vs. 57 (25%), p<0.001] were all significantly higher in PsA patients. PsA patients also had higher coronary calcium score (CAC) compared with control subjects (46±151 vs 5±19, p=0.018). In patients with coronary plaque, 3-vessle diseases were seen in 11 (21%) PsA patients and 4 (5%) controls (p=0.007); while severe stenosis was seen in 7 (13%) PsA patients and 1 (1%) controls (p=0.008). After adjusting for traditional CVD risk factors, PsA remained the strongest predictor for all types of coronary plaques (Table 1). In all subjects with plaque (52 PsA patients and 74 controls), PsA was the only independent predictor for 3-vessel disease after adjusting for CVD risk factors [odd ratio: 5.724 (1.506-21.759), p=0.010]. In PsA patients, the PsA disease duration was the only disease specific characteristic which was correlated with the more vulnerable plaque types (MP/NCP) in univariate [1.057 (1.003-1.113), p=0.037] and multivariate analysis [1.067 (1.010-1.127), p=0.020; adjusted for age, gender, hypertension, diabetes, hyperlipidemia, family history of CVD and smoking]. The other independent predictor was male gender [3.519 (1.306-9.480), p=0.013]. Conclusion: PsA patients had higher prevalence and severity of coronary atherosclerosis compared with control subjects. Longer disease duration, but not older age, was independently correlated with the more vulnerable MP/NCP in PsA patients. Table 1. Independent predictors in multivariate analysis for coronary plaque in PsA patients and control subjects. Disclosure: L. H. P. TAM, None; T. H. CHENG, None; H. M. LAM, None; K. T. WONG, None; Q. SHANG, None; E. LI, None; W. K. LI, None; M. F. CHEUNG, None; U. L. MING, None; T. L. LUI, None; W. L. TAO, None; S. TSANG, None; L. S. TAM, None. TAM LHP, CHENG TH, LAM HM, WONG KT, SHANG Q, LI E, LI WK, CHEUNG MF, MING UL, LUI TL, TAO WL, TSANG S, TAM LS. Higher Prevalence and Severity of Coronary Atherosclerosis in Psa Patients [abstract]. Arthritis Rheumatol. 2016; 68 (suppl 10). 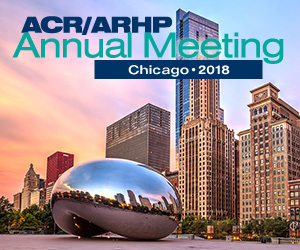 https://acrabstracts.org/abstract/higher-prevalence-and-severity-of-coronary-atherosclerosis-in-psa-patients/. Accessed April 22, 2019.